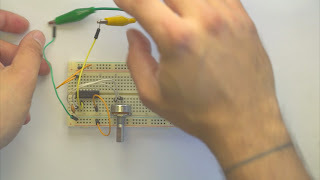 The ideas in this post largely come from Nicolas Collins' excellent book 'Handmade Electronic Music', which I would highly recommend. 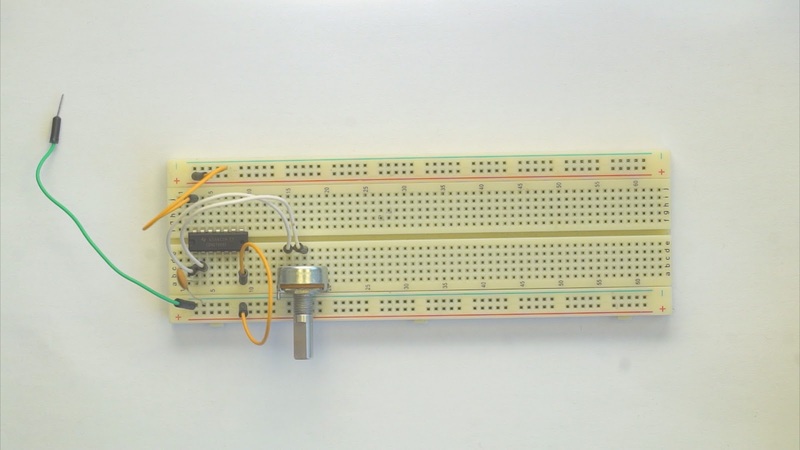 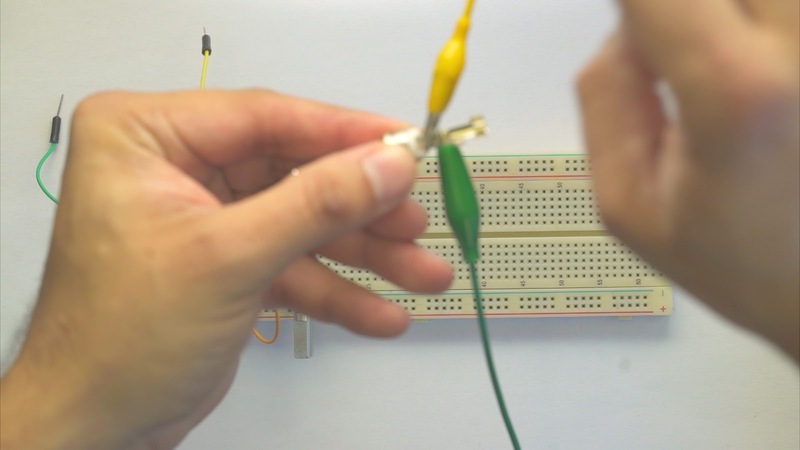 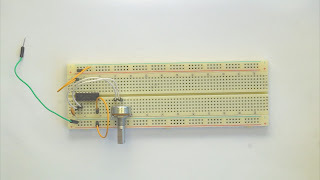 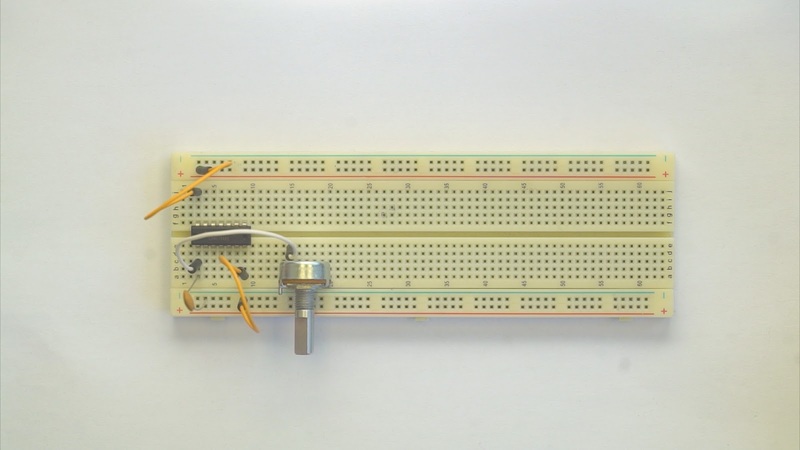 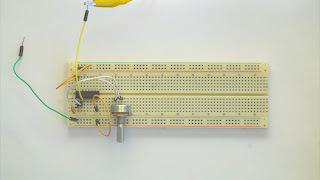 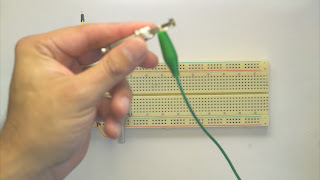 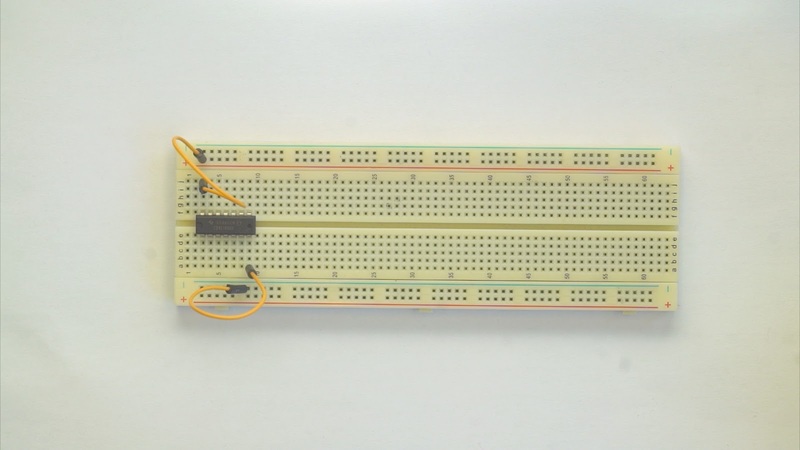 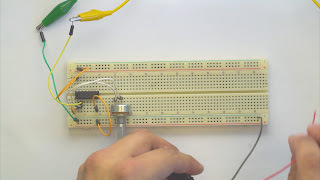 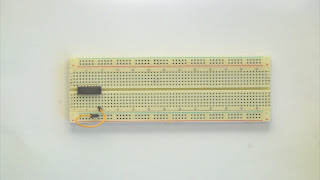 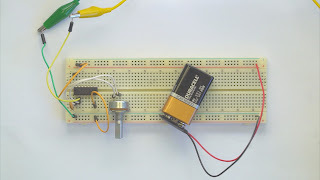 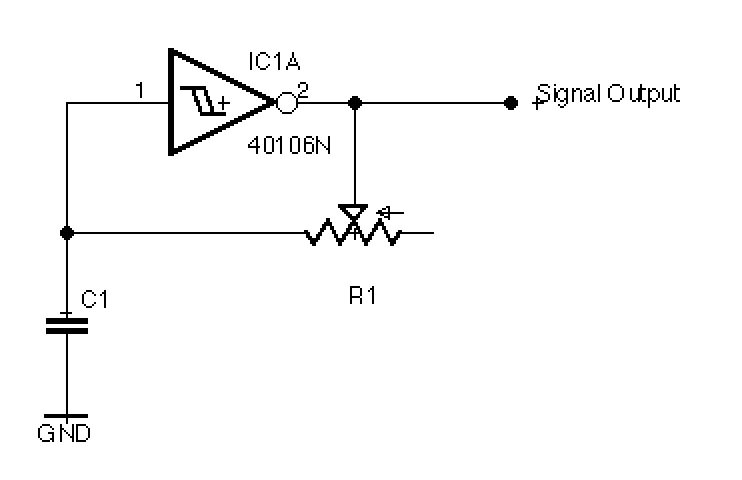 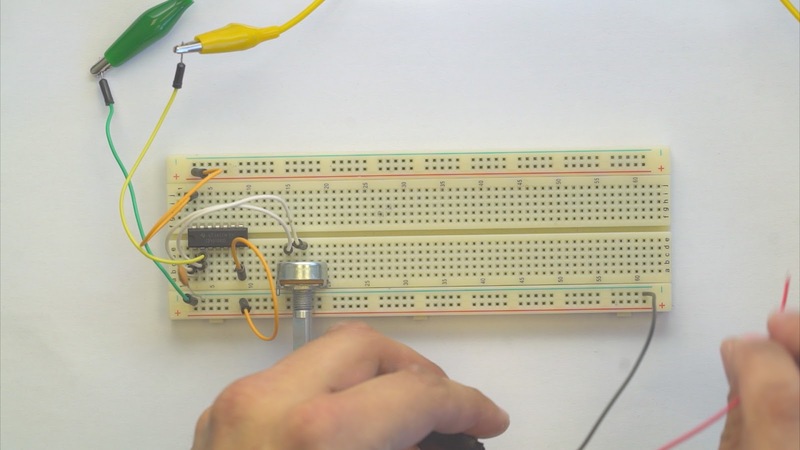 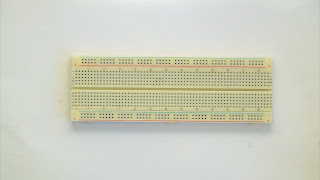 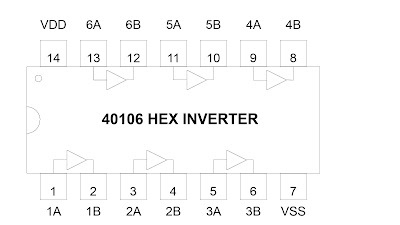 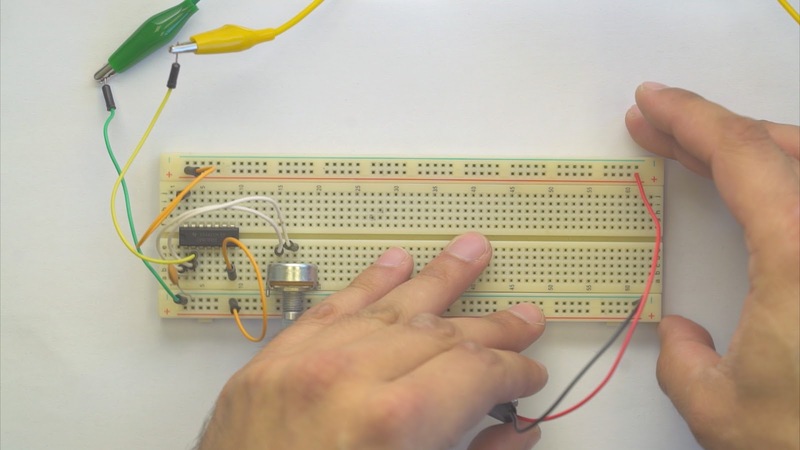 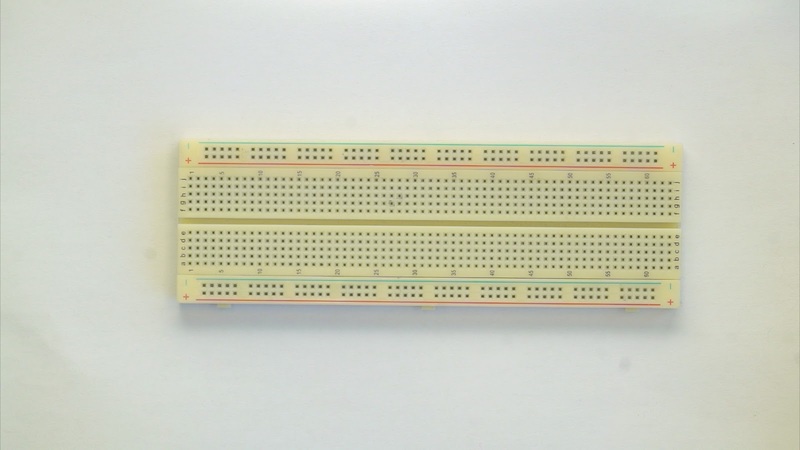 The 40106 hex inverter can be used to make up to six simple oscillator. 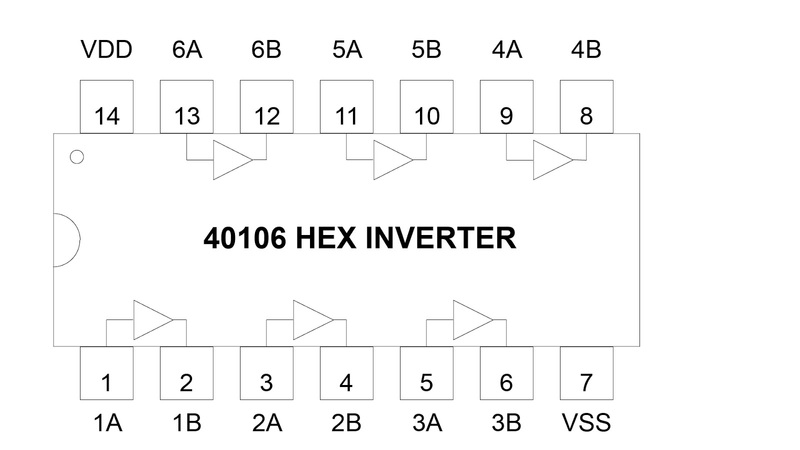 By connecting the output of an inverter to its own input, oscillations can be created - when the input is high, the output goes low, thus the input is low, meaning the output will go high, and then the input will go high, and so on. 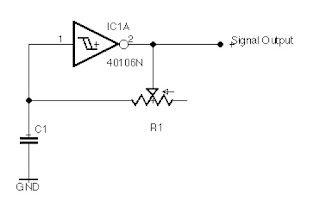 The frequency of each oscillator is controlled by the amount of resistance between the output and the input, as well as the capacitance between ground and the input.